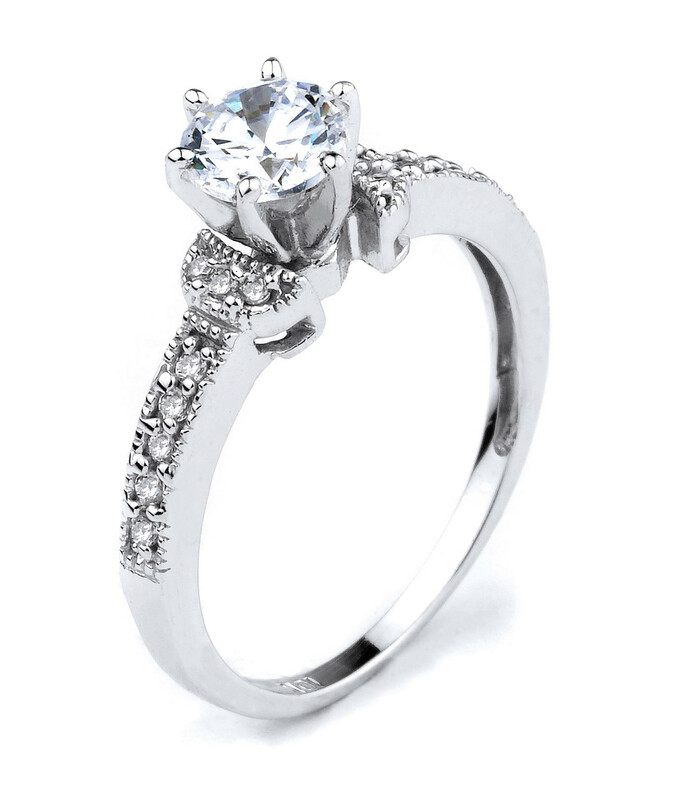 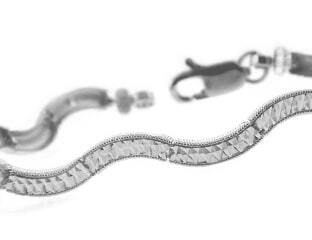 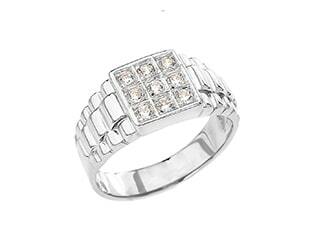 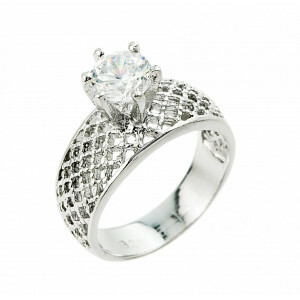 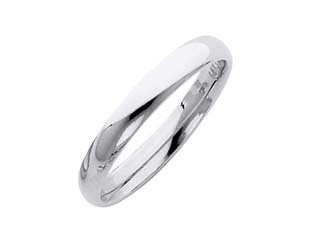 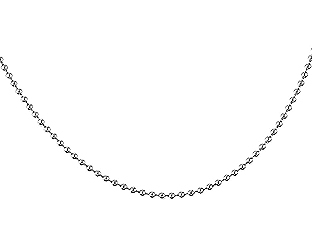 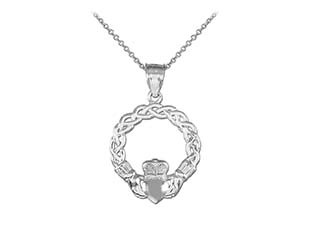 A graceful, elegant ring that represents boldness and commitment. 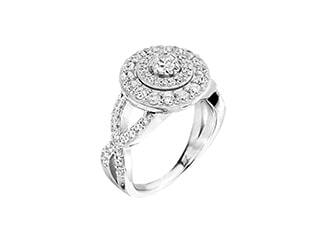 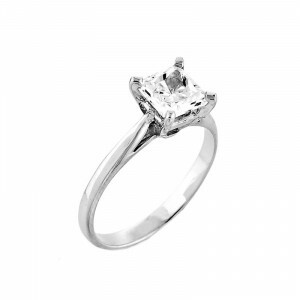 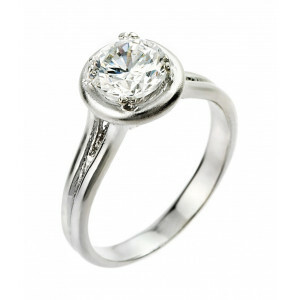 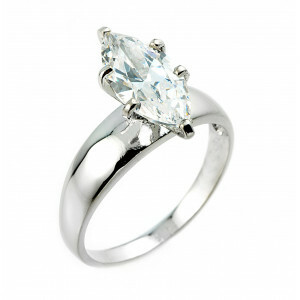 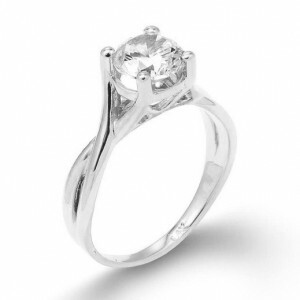 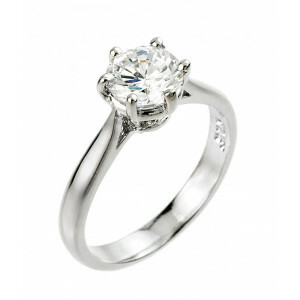 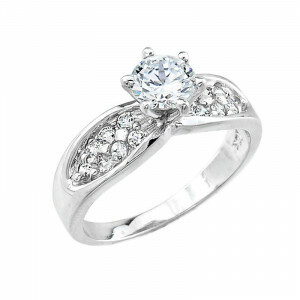 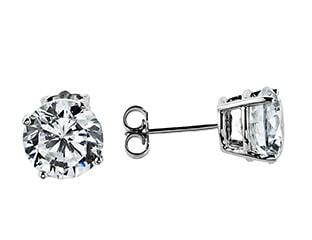 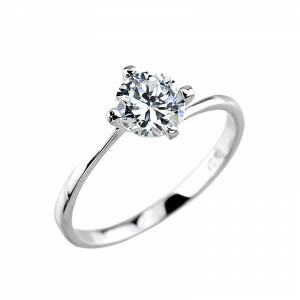 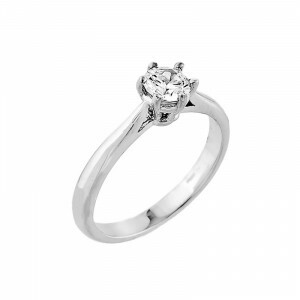 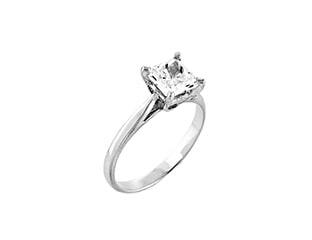 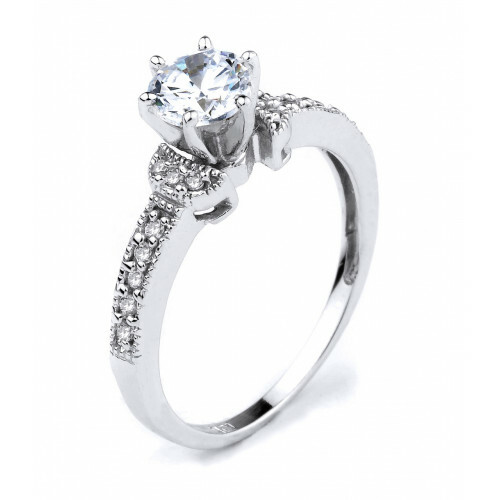 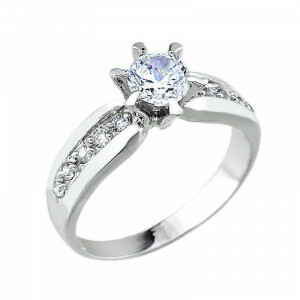 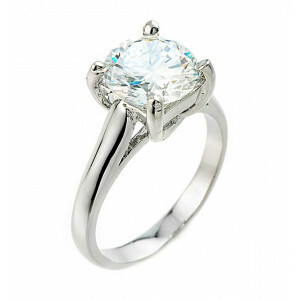 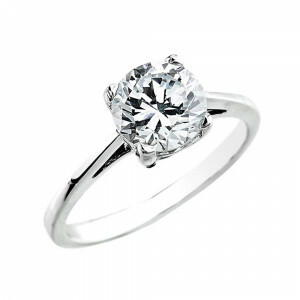 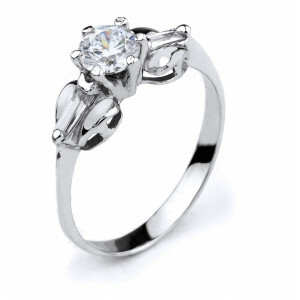 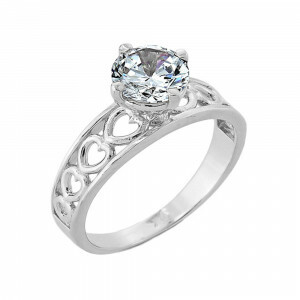 CZ solitaire ring in solid 14K white gold. 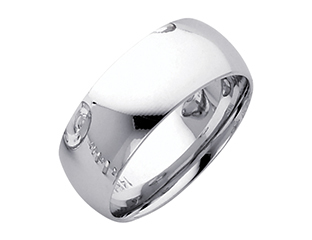 High polish finish.